Unless you're some kind of weird robot goblin, odds are you spend several hours a week listening to music, podcasts, audiobooks, and whatever else you can consume with your sound holes. But many wireless listening options are uncomfortable and don't provide great sound quality, and wireless headphones might as well be a medieval torture device at this point. That's why you need to check out the Cresuer Touchwave True Wireless Bluetooth Earbuds. 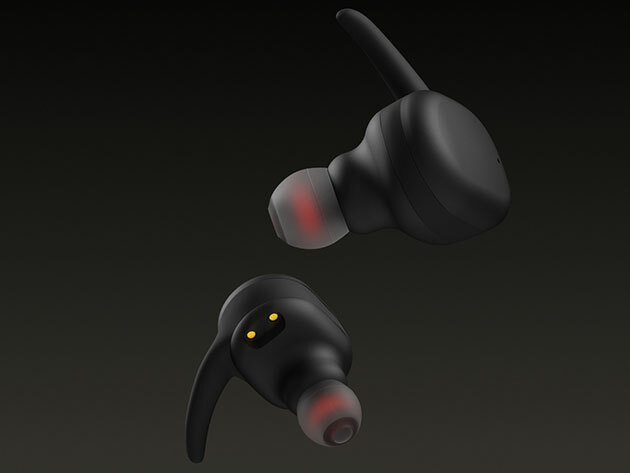 The Touchwaves come with 3 different sized earpieces, so they'll fit securely and comfortably in your head no matter how freakishly big or small your ears are. They're also noise canceling and sweat resistant, so you can block out everyone else at the gym, office, or street corner while you do your vigorous exercises. Plus, you get 3 hours of listening on a full charge, with up to 4 full extra charges kept in the wireless carrying case, so you never have to hear anything you don't want to, ever again. 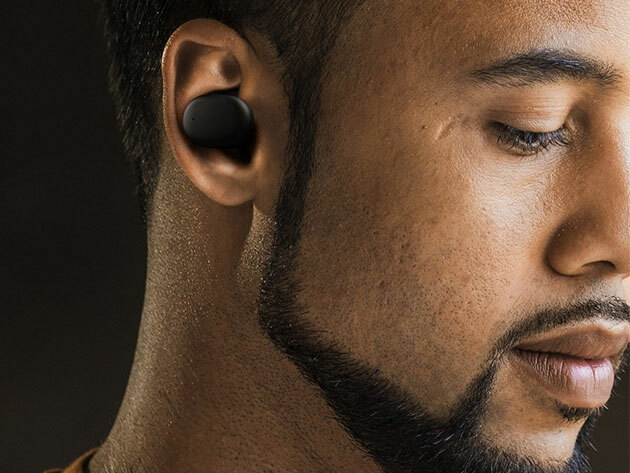 Normally the Cresuer Touchwave True Wireless Bluetooth Earbuds sell for $99.99, but today you can get a pair at 55% off for just $44.99 by clicking that gigantic button below.